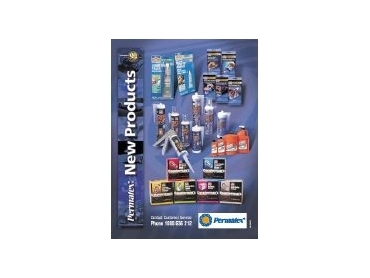 PERMATEX is expanding its marketing and distribution into the Australian industrial sector. * Fast Orange waterless handcleaners. * Ultra series silicone based sealants. * Right Stuff gasket maker. * Epoxies, lubricants and other speciality chemicals. Permatex spokesman Peter Storey said the Permatex range eas known around the world in both automotive and industrial circles as high performance chemical products manufactured to the highest quality standards. "Following success and forecast continuing growth in the automotive aftermarket we are very enthusiastic about the prospect of expanding our business and to service a new and large part of the marketplace. “We will be placing particular attention on attracting small to medium sized distributors operating in these sectors who are looking for superior product lines and a higher level of customer service than they may have been experiencing of late," he said. Permatex, which has manufacturing facilities in Ohio and Kansas has recently undergone a multi-million dollar upgrade for the production of hand-cleaners, adhesives and sealants.